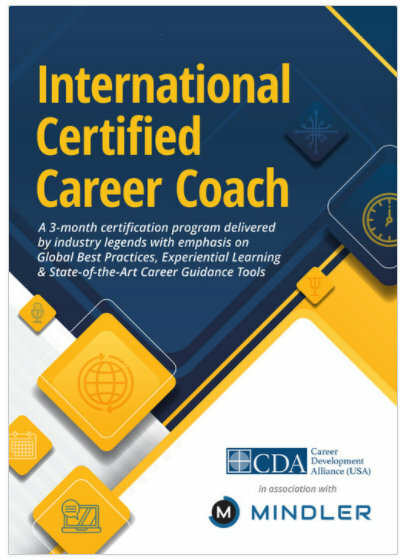 International Career Coach Certification (ICCC), a 3-month certification program which will be delivered by industry legends with emphasis on Global Best Practices, Experiential Learning & State-of-the-Art Career Guidance Tools. Brought to you by Career Development Alliance (USA), and Mindler (India) in collaboration with Afairs, the ICCC program covers a 3 day in-person experiential workshop followed by a series of online & offline assignments with case studies, real-time projects, webinars and final evaluation & credentialing. This program is ideal for for school/ university counsellors, principals, teachers/ professors, and independent & aspiring career experts. The program will commence on 13th Apr’ 18 with a 3-day in-person training workshop at The Park Hotel, Parliamentary Street, New Delhi.